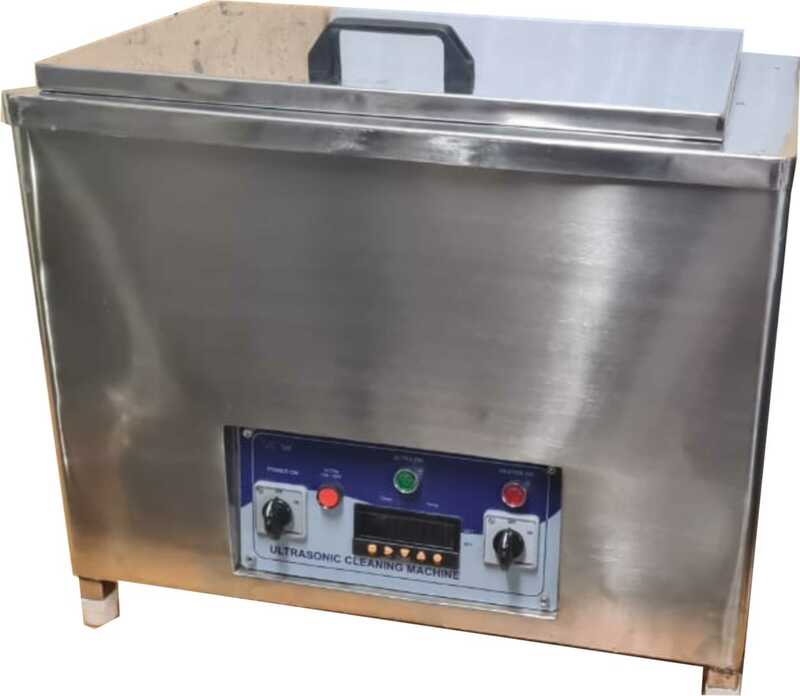 The company is one of the reliable Manufacturers, Suppliers and Exporters of Ultrasonic Sonicator Bath in Mumbai India Sonicator Bath has been designed using MOSFET/IGBT and latest Microcontroller base technology. Ultrasonic Bath Sonicator is used to fulfill all cleaning needs of the labs. 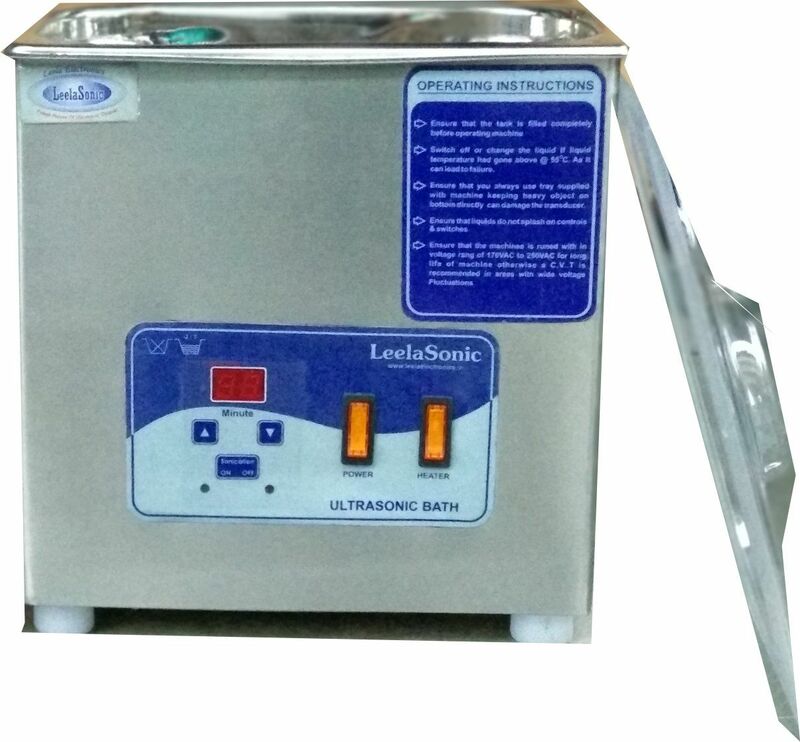 Ultrasonic Sonicator Bath is used in QC, R&D and analytical labs, scientific and pharmaceutical labs. The use of Ultrasonic Sonicator Bath offers gentle yet effective cleaning action ensuring that no contaminants are left from the previous process. Our professionals have achieved dexterity in manufacturing higher capacity degassing sonication Bath. Further we provide customized production facility for our customers. Cleaning the glass ware, Lab instruments. Dissolve, disperse and emulsify samples. Sonochemistry i.e. degassing the solution. Use of Pulse Sweep Energy. Provide best after sales service . Customize & higher Sizes other than above mentioned Models are also available as per customer requirements. A laboratory will require a ultra sonic cleaning system to ensure that items are completely clean and free from contaminants prior to each use. Any residue or debris left from previous processing could provide inaccurate and incorrect testing results. The use of delicate instruments in the laboratory makes sonic cleaning a perfect technology for cleaning and reprocessing. The gentle yet effective cleaning action ensures that contaminants are removed but instruments are not damaged. Therefore in the last few years, ultrasonic lab ware cleaning and ultrasonic instrument cleaning have been gaining in popularity. 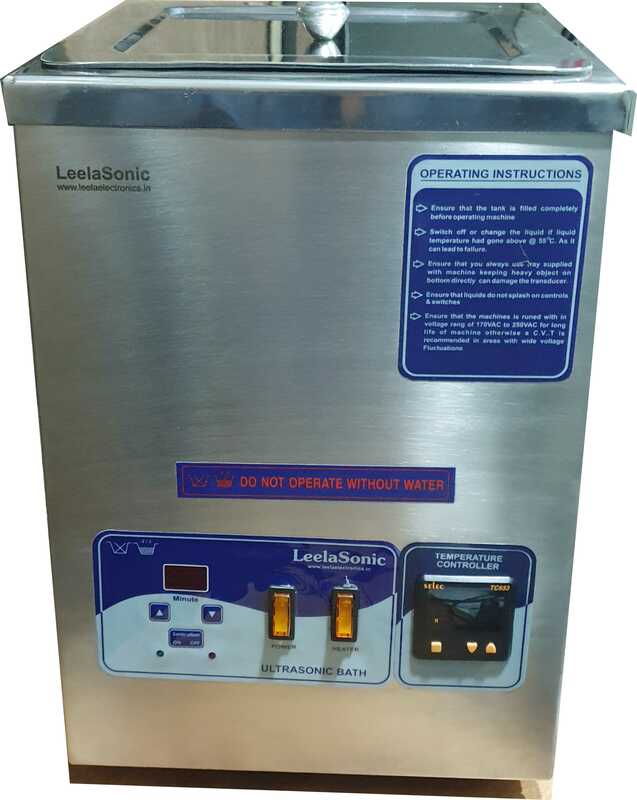 LeelaSonic Ultrasonic cleaners are especially effective for removing chemical residues from complex parts with crevices, small openings, and joints. In addition to cleaning validation, ultrasonic sonicator bath are used by chemical and pharmaceutical laboratories for solvent degassing and sample preparation. Ultrasonic baths rapidly degas HPLC solvents. Agglomerated samples are dispersed and difficult to dissolve samples are solubilized in powerful ultrasonic baths / Sonication Bath / Sonicator Baths / Degassing Sonicator.